Hi, this is Christian and this is also THE FIRST PODCAST WE’VE EVER MADE IN THE HISTORY OF EVER!!! Woooo!!! 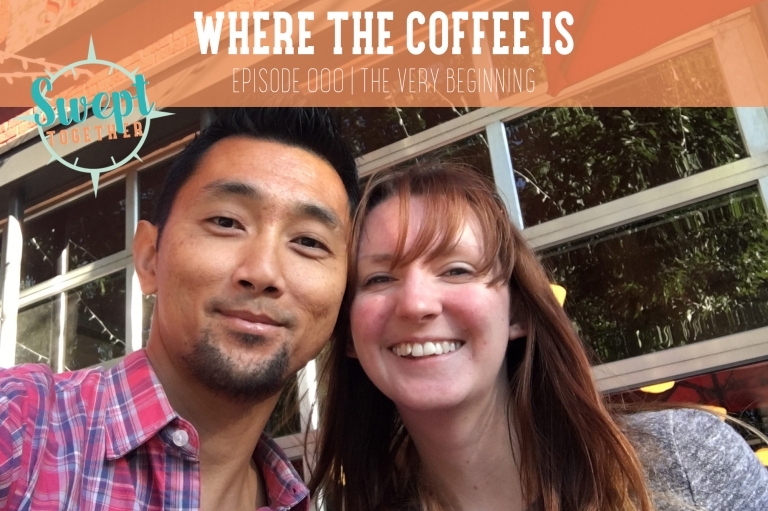 We recorded this episode while spending some time in Playa del Carmen, Mexico to celebrate our one-year dating anniversary. Annabelle and I met on a dating app called Coffee Meets Bagel. We’re not specifically advocating it, but hey, it worked for us! There are tons of dating apps out there that all have pros and cons the same as chance meetings with people have pros and cons. In the end, I’ve found that the thing that “works” is being bold and courageous enough to put yourself out there, being ok with rejection at times (because at times, you WILL get rejected), and saying, “YES!” when the right person presents him or herself to you.It’s the same in business. Sometimes Many times, you’ll get rejected. Sometimes your ideas will fail and won’t get any traction. What’s important is that you persevere through those down days and understand that you aren’t a failure in business because an idea of yours doesn’t work. You aren’t a failure in love because your last date hasn’t texted you back since you went out for coffee. Keep going! Be courageous! Be brave! I promise you, you will succeed! Annabelle and I have both been previously married and we talked about becoming better people because of that experience. We definitely DON’T recommend getting divorced. It’s pretty much the worst experience ever. What we discovered about ourselves during that process; however, is that when faced with adversity, we had a choice: let it bring us down, or learn and make ourselves better. Sounds like an easy choice to make, but it’s actually harder than you think. For a long time, I let my impending divorce get the better of me. I wasn’t my “normal” self, even my friends started noticing. In that moment, my choice was to let it bring me down. And maybe, for that time, that’s what I needed to do. There is a point, however, that I HAD TO make the opposite choice. I had to choose happiness and rediscover myself and who I was (or maybe remind myself of that). It took a long time — over a year. I wish I could tell you a different story, but I can’t. But eventually, that day came. I can’t say exactly how long, I can’t say that I woke up one day magically feeling better. I can just tell you that eventually, it happened. What was magical is that a few weeks after that, I found Annabelle. I’d rather think it was as a result of me becoming who I needed to be (happy, adventurous, bold, unafraid) to find the person who perfectly complemented those things I most enjoy about myself.